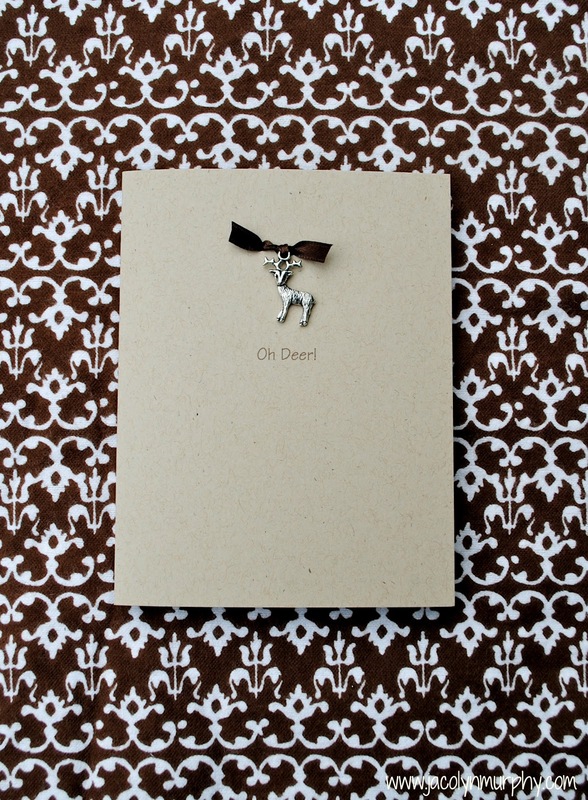 Jac o' lyn Murphy: Oh Deer! Christmas is now less than a month away! I just found your blog via the "Made by you linkup." What a clever way to use a charm. I love this! Can I buy these reindeer cards?? or just click on the large Etsy shop button on the right side bar of my blog and it will take you to my shop. Love the deer puns...You are such a deer! So cute! 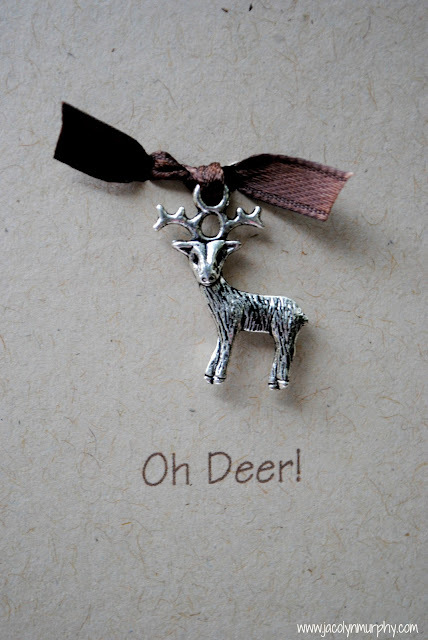 Knowing that Christmas is less than a month away really does make me say "oh deer!!". Oh Deer is right!!! I got a couple of packages in the mail today and that felt good. But, the cards are still in their box just daring me to try and get started!!! Love all your fab ideas and you know where I'll be the next week or so. Can not wait until Dec 6th...that's when the holidays really begin around here. Oh Deer! Only 28 days until Christmas! Start your shopping now at Jac O' lyn Murphy Etsy ShoP! !